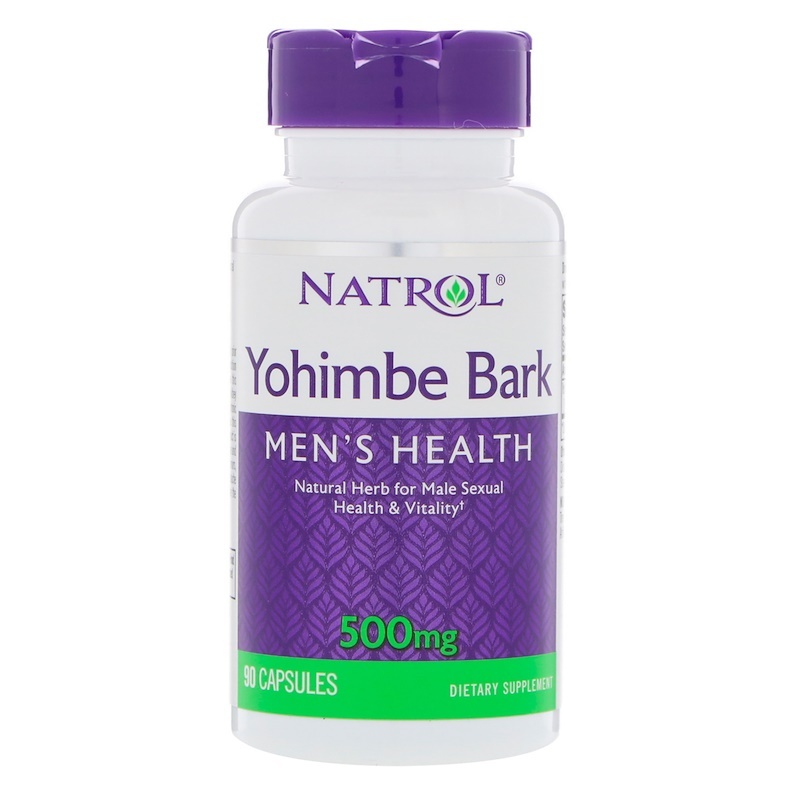 Natrol Yohimbe Bark 500 mg is a natural herb that is beneficial for men’s health. Derived from the bark of the Yohimbe tree, typically found in Western Africa. Take 1 capsule, up to three times daily, with a meal. Do not exceed recommended dose. Caramel color, gelatin, dicalcium phosphate, maltodextrin, magnesium stearate, silicon dioxide. No: Milk, egg, fish, crustacean shellfish, tree nuts, peanuts, wheat, soybeans, yeast, artificial flavors, added sugars or preservatives. Consult your healthcare professional prior to use if you have or suspect a medical condition or are taking prescription drugs. Do not use this product if you have a history of liver disease, kidney disease, hypotension, heart disease, diabetes or chronic inflammation of the prostate gland. Do not use this product if you are taking an MAO inhibitor. This product is not recommended for long-term use. Discontinue use and consult your healthcare professional if dizziness, tremors, nervousness, heart palpitations, or recurring headache or sleeplessness occur. Do not use if you are under the age of 18.